LUXE Models Blog: It’s a Girl for Ashton Kutcher and Mila Kunis! 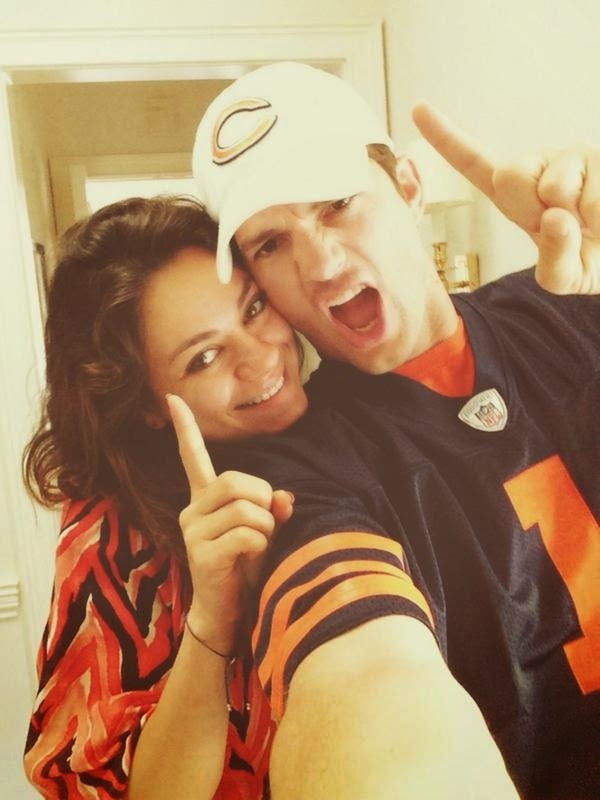 It’s a Girl for Ashton Kutcher and Mila Kunis! This week, Luxe Models want to take the opportunity to congratulate one of our fave celeb couples, Ashton Kutcher and Mila Kunis, on the birth of their baby girl. How far have these two Hollywood heavyweights come? From their early days as Jackie and Kelso on That 70’s Show, they’ve both become tinsel town legends in their own right. She’s stared in a string of movies that have proved a big hit with audiences and critics alike. Most notably, this includes Black Swan, for which she clinched an OSCAR nomination. He meanwhile, has become a household name. Most recently, he’s found renewed TV fame with US small screen giant Two and a Half Men. So it was only natural that these two style icons would eventually gravitate towards each other as the ultimate famous power couple. It may surprise you to know though, that they didn’t get together when they both starred on That 70’s Show. This was despite the fact that their characters were lovers. Since the show ended, they’ve both become as equally as famous for their love lives as for their burgeoning careers. Kutcher’s love life was never far from the press inches after he entered a relationship and then married legendary A-Lister Demi Moore. Kunis meanwhile, was in a long-term relationship with Home Alone actor Macaulay Culkin for eight years. They only became an item years later, when they both split with their respective partners. Yet become an item they eventually did, and it’s pretty clear they’re all loved up. They’re so cute together, and their corresponding effortless senses of style gel so well, we coo every time we see a new snap of them in the paps. So we cheered last May, when Mila Kunis announced that she was carrying the couple’s first child. How fast time flies ey? According to Digital. Spy Kunis has now gone on to give birth to the child. Last Wednesday, she gave birth to a baby girl at Cedars-Sinai Medical Centre in Los Angeles. Luxe Models are thrilled for the That 70’s Show alums. After all, his famous take on casual men’s fashion and her penchant for hitting trend every time in a stylish yet provocative manner, means this girl is sure to be one to watch in the fashion stakes as she grows up!